Solar Controllers is a 3M™ Authorized Window Film Dealer serving businesses and homeowners across Central Florida. We specialize in the installation of 3M™ Window Film. For over 20 years, Solar Controllers has been helping residential and commercial property owners improve the efficiency of cooling systems, reduce utility costs, reduce glare, protect furnishings, increase privacy, and improve their level of security and safety. Our service areas include: Ocala, Orlando, Gainesville, Belleview, Summerfield, The Villages, Lady Lake, Fruitland Park, Leesburg, Mt. Dora, Eustis, Tavares, Wildwood, Howey in the Hills, Inverness, Citra, Crystal River and all surrounding areas. We serve Marion, Lake, Citrus, Alachua, Polk, Orange, Osceola, Sumter, and Volusia county. "...the recent installation of your 3M window film has made our lanai a room that we can finally enjoy. It was so terribly hot before the installation that we didn’t use the room." Your windows let in sunlight which brightens up your space, and provides you with a view outside. However, the sunlight can create several problems like increased heat, glare on TVs or monitors, and fade damage on furniture. There is a solution for this, and Solar Controllers is here to help. Take control with 3M™ Window Film, which is ideal for reducing glare and uneven temperatures within your home, while also yielding energy savings, UV protection and more. Our line of 3M™ Window Film offers more than one function or benefit. Whatever your commercial needs for window film are, you will be surprised by what we can do for you. 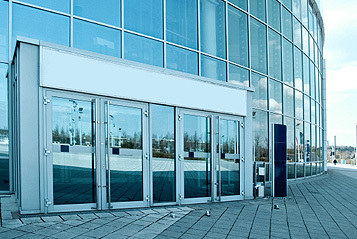 Your window films can provide additional security, sun control, UV protection, privacy, and increased energy protection. 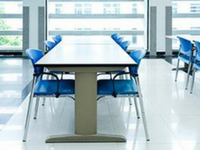 Improve employee or tenant comfort, while increasing energy efficiency and safety. 3M™ Safety and Security Window Film has been incorporated in hundreds of schools across the nation. When it comes to protecting what is most important, our children are right at the top of this list. In emergency situations, gaining additional minutes and seconds of response time can be priceless. See how 3M™ Safety and Security Window Film fits in.